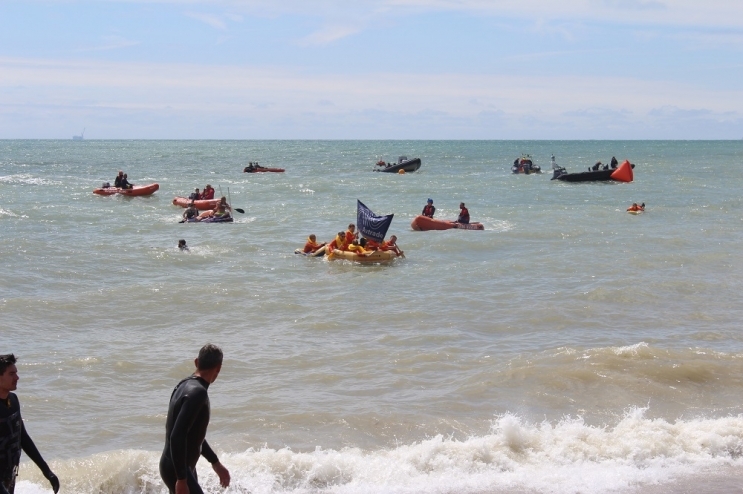 For the second year running, Avtrade was delighted to participate in the annual charity event ‘Paddle Round the Pier’, the world’s biggest free watersports festival held on Brighton & Hove seafront at the beginning of July. On a bright, sunny day, Avtrade’s Purchasing Team joined numerous other participants in the “Paddle Something Unusual” challenge. 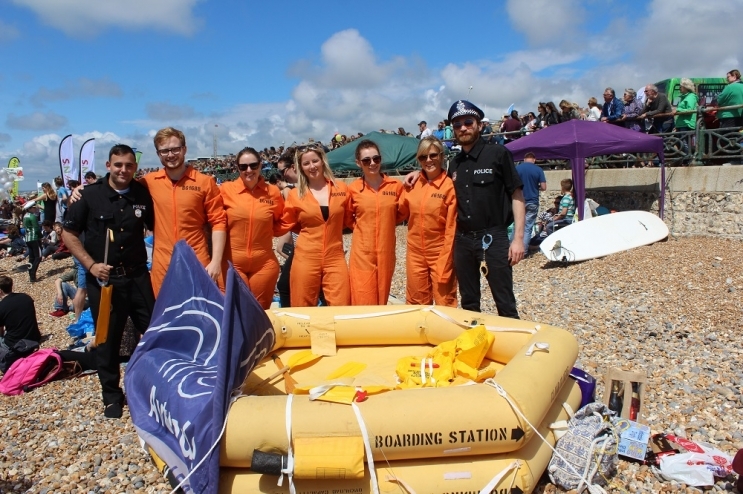 Using an aircraft liferaft, Avtrade’s theme this year was ‘escape from Alcatraz’. Convicts, in the liferaft had to escape from the prison guards who were in dinghies tied to the raft. However disaster struck after only 5 minutes at sea when one of the guard’s boats ‘Sudi’ blew up with him in it! Following a frantic unplanned swim, Sudi joined the convicts in their raft and the challenge was successfully completed! Through a mixture of Avtrade dress down charity days, and supplier, family and friend donations, Avtrade raised a fantastic £792. The money raised is for a select group of charities - RNLI, Surfers Against Sewage and, continuing Avtrade’s commitment to local charities, Amaze. An independent charity, Amaze provides information, advice and support to parents and carers of children and young people with special educational needs and disabilities in the Brighton and Hove area. A fantastic day was had by participants and supporters alike! Avtrade would like to thank everyone involved and particularly those who donated to the cause, your donations were gratefully received. Please feel free to donate to the charity through the following link: www.justgiving.com/fundraising/AvtradePurchasing. Amaze is a fantastic local charity. You can find out more about their incredible work here www.amazebrighton.org.uk.